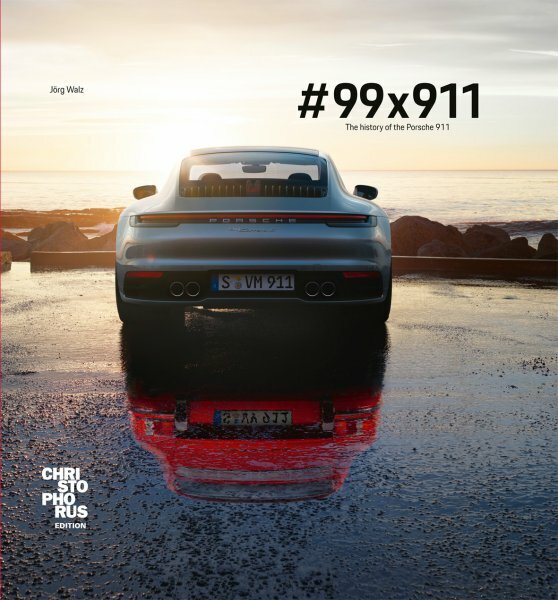 Five decades, eight generations, one number: 911.There is no other car as legendary as the Porsche 911. Old-timer, new release or racing car legend; fans worldwide are fascinated. The Porsche 911, an epitome of a German sports car, is a world-renowned import success and dream car. In this multi-faceted work, the 99 most important models of the legend are presented chronologically as miniatures in a 1/43rd scale, each with a picture and text page, in an informative, entertaining and surprising way: as Urban Outlaw, flat speedster, Germany's Next top model, as a wolf in sheep's clothing ... all put together by author Jörg Walz, collector since childhood in the book #99 x 911. The author places the snapshots of the vehicle miniatures shown here in the real environment and presents a well-assorted digital car museum. The charming interplay between a small car model set into a lively background fascinates, surprises and makes you smile. The originally spontaneously created photo collection is completely simply "iPhonographed", without further aids or artificial arrangements, initially taken for Instagram.